On Easter Monday, on my way back to Budapest, from Zagreb, I visited my grandma...as I always do. 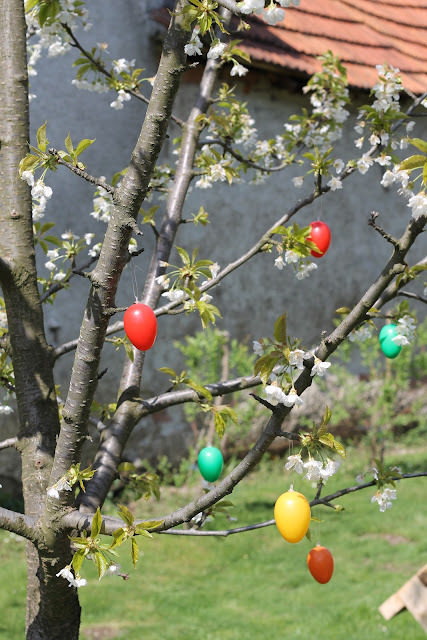 First thing I saw was a decorated tree in from of her house, which was kind of expected. My 80 years old grandma has pallet furniture in her front yard!!!!!!!!! This cools set was made by my cousin's future hubby Saša, who is (obviously) very creative and handy. 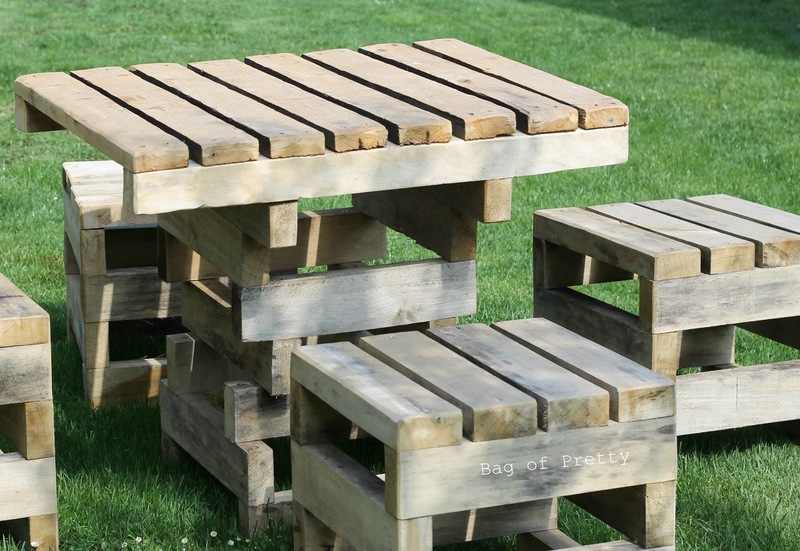 You all probably know what pallets look like and how rough they are, but these are so soft and smooth, and oh so wonderful. I can't wait to go to visit for longer, and have my morning coffee there. And one day maybe I can show you some other amazing things he made. Is there a plan & instructions available for this set please? further to last post - especially on how to join the wood together. Thanks. I must say, "Your blog is as beautiful as you". 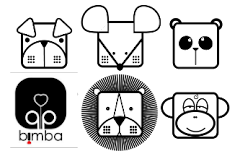 I loved above all the pictures which are expressing your ideas very well. Anyway, thanks and best LUCK! 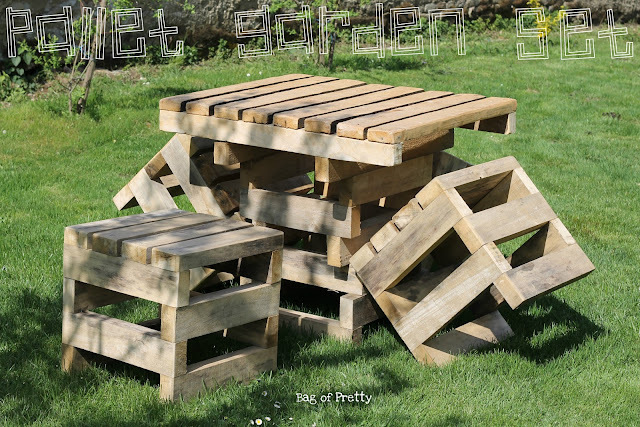 Wow its such a beautiful garden furniture. 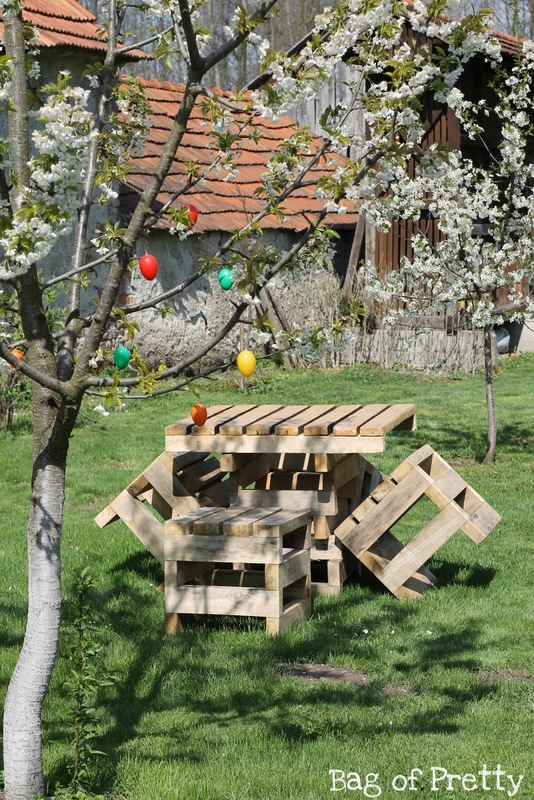 I like this types of pallet wooden furniture. I always prefer wooden furniture for my garden and you have given fantastic ideas for wooden furniture, so thanks for share this amazing post. 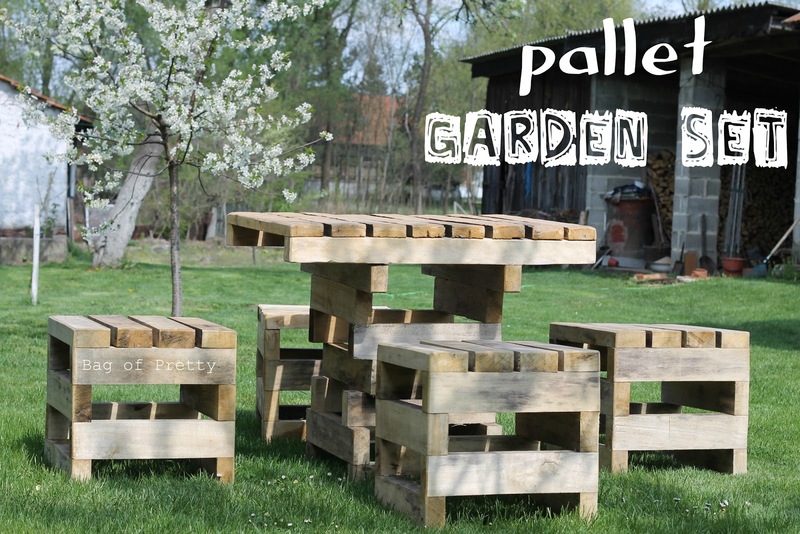 Thanks for sharing information and pictures on pallet garden furniture.